Candidates are you looking for the ICDS Saharsa Anganwadi Recruitment 2018? So, we have great news for those contenders who want to make their career in Integrated Child Development Services. Here, in this article, we are going to provide all the elaborated information regarding the ICDS Saharsa, Bihar Vacancy 2018 in the below description of the post. This is the golden opportunity for all those aspirants who are keenly looking for the latest government job in Saharsa, Bihar State then they don’t miss this golden opportunity and must read this complete post properly. You may apply for the recruitment from the official website of Integrated Child Development Services Saharsa that is www.icdsbih.gov.in. For additional information, you may bookmark our careerjobs360 official webpage & stay in touch with us for future purpose. The Integrated Child Development Services Saharsa has released the employment notification for ICDS Saharsa Anganwadi Sevika/Sahayika Vacancy 2018 for the appointment of eligible and skilled candidates for fill up 740 Post of Anganwadi Sevika/Sahayika posts in the ICDS Saharsa, Bihar. The Integrated Child Development Services Saharsa, Bihar is looking for eligible and skilled contenders for the vacant post in the department. Job Finders who are looking for the government job in Saharsa, Bihar State then they may apply for this ICDS Saharsa Sahayika Recruitment 2018 from the official web portal of the organization which is given at the end of this article. You may send the ICDS, Saharsa Application Form 2018 on or before the due date which is 10th November 2018. Other information like academic qualification, age limit, selection process, application charges and how to apply etc are provided in the below article. For more details kindly go through the complete post. Interested and skilled aspirants who are willing to apply for this ICDS Saharsa Sahayika Recruitment 2018 they must read the eligibility conditions of the vacancy from the official advertisement from the official portal of the department. Here, we provide all the elaborated information in the below section of the article. Applicants must read all the details very attentively before applying for the recruitment. Educational Qualification: Interested candidates must have 10th (matriculation) from any recognized university/institute. Check the official advertisement for further details about the academic qualification. Age Limitation: The aspirants’ minimum age limit is 18 years of age and maximum age limit is 40 years. Age relaxation will be given to the reserved category as per the government norms. Selection Procedure: The aspirants will be selected on the basis of their performance in the Screening Test rounds. 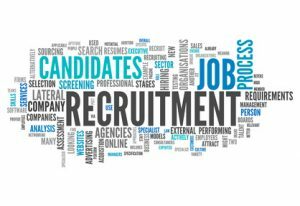 How to Apply for the ICDS Saharsa Sahayika Recruitment 2018? All the interested and eligible contenders are able to apply for the ICDS Saharsa Jobs 2018 from the official website of the Organization. You may read the eligibility need of the vacancy before applying for given vacant posts in the Integrated Child Development Services (ICDS), Saharsa, Bihar. Here, we are providing steps for filling the application form easily. First of all, interested aspirants need to open the official website of Integrated Child Development Services (ICDS), Saharsa i.e. icdsbih.gov.in. Now, on the homepage go to the notification section and, find out the ICDS Anganwadi Sevika/Sahayika Recruitment 2018 official notification. Then, hit the relevant link & download the official notification. Now, read the official notification very carefully before applying for the given vacancy. Then, you can fill all the asked information in the application form very carefully without making any mistake. Attach the scanned copies of the requisite credentials with the application. Then, submit the application form after verifying all the details very carefully in it. Take the hard copy of the application form & keep it safely for future use. Here, we provide all the information regarding the ICDS Saharsa Anganwadi Vacancy 2018 in the above of the article. All eligible and interested aspirants may apply for this given vacancy from the official web portal of the organization. For more details, you can bookmark this web page & stay connected with us.